Apple’s big fall iPhone event is tomorrow, but if you’ve been hoping for something new from Beats, prepare to be let down. The company does not plan to announce any new hardware from Beats, the largest premium headphone company in the world, a source close to the situation tells The Verge. In fact, any and all evidence surrounding new headphones from the company points toward new products directly from Apple. There’s a strong chance that we’ll see an updated pair of AirPods. There has also been talking about Apple producing its own over-the-ear headphones, which would presumably compete against options from Beats, the headphone company Apple spent $3 billion acquiring. There’s a good chance 2018 will end with no new products from Beats at all, which is uncharted territory for the headphone maker. Since Apple bought Beats Electronics in 2013, its subsidiary has released either a new pair of headphones or a speaker every year until now. That may seem like a jarring shift at first, but upon closer inspection, you’ll notice that Beats has largely only made iterative updates: it’s on the third edition of its Solo, Studio, and Powerbeats lines, all of which have received minor updates over the years instead of releasing truly new and innovative products. The last new headphones it introduced were the BeatsX back in 2016, and those have yet to receive an iterative update. What Beats has done extremely well is leverage its position as a staple of youth, sports, and fashion culture. You’ll see Beats headphones being worn by many of the top athletes in the world and in a number of music videos from major artists in order to sell the same headphones over and over again, despite the lack of new hardware. 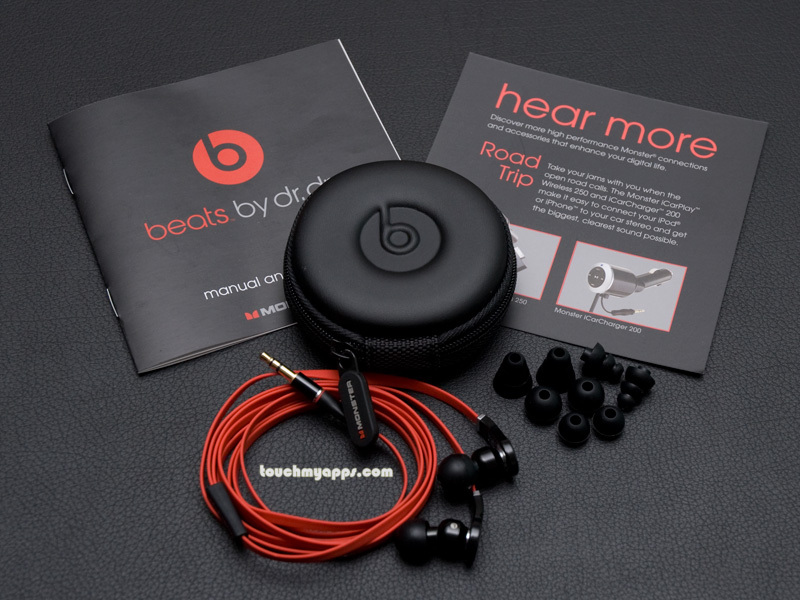 Beats consistently releases new colorways of its headphones (a marketing strategy popularized by Jordan Brand and employed throughout the sneaker and fashion industry) to keep its brand relevant. But one would think Apple spent billions on Beats for more than its engineering team that helped create Apple Music and some periodically repainted headphones. To be fair, that strategy has worked: Beats just inked a deal to be the official headphones of the NBA and USA Basketball; it has signed major celebrities like LeBron James, Neymar, Colin Kaepernick, and Serena Williams as brand ambassadors; and, by most metrics, it owns nearly 50 percent of the premium headphone market. But it could be argued that this isn’t necessarily due to the quality of the products — the Studio 3s are good headphones, but not the best in the industry, as Vlad Savov noted in his review — but more so because of the company’s exceptional marketing team. So what would happen if Apple actually developed products for Beats as more than an afterthought? We may never know. Bloomberg’s Mark Gurman reported that Apple is preparing its own over-the-ear headphones that would compete directly with the Studio 3 and Solo 3 headphones, the bread and butter of its subsidiary. Apple’s standalone audio history has been up and down recently; it found success with its wireless AirPods, but it’s had a much tougher time with its HomePod smart speaker making inroads against Amazon’s Echo and the Google Home speaker. In his report, Gurman noted that the upcoming over-the-ear headphones from Apple are designed to compete for the high-end headphone market, an area that Beats has targeted with its Beats Pro (which also haven’t received an update in years). And Apple’s AirPods have already claimed a large portion of the wireless headphone market, which will likely exclude Beats from entering into that forum. Apple is going after both the high-end headphone market and the wireless market without utilizing the headphone company it purchased. If Apple doesn’t release new products from Beats unless they are iterative updates to existing products — let us not forget the Beats Pill, which hasn’t been updated since 2015 — what space does that leave for Beats to evolve as more than a sideshow for Apple’s self-branded products? Jordan Brand earns most of its cache from the retro shoe colorways it created in the‘80s and‘90s, but it still releases a pair of new shoes every year for athletes and customers who want the latest and greatest in sneaker technology and comfort, despite competing against its parent company Nike in nearly every respect. The relationship has become symbiotic, benefiting both parties for the greater good of the organization. But from the outside looking in, the relationship between Apple and Beats is seemingly parasitic, with Apple siphoning off what it needs from Beats at will — be it a music streaming service or engineers to build a new pair of wireless headphones. That isn’t uncommon when acquisitions take place, but, normally, those companies are merged within the parent organization, not kept around at arm’s length while maintaining their own identity.